Computational Geometry: Introduction.- Line Segment Intersection: Thematic Map Overlay.- Polygon Triangulation: Guarding an Art Gallery.- Linear Programming: Manufacturing with Molds.- Orthogonal Range Searching: Querying a Database.- Point Location: Knowing Where You Are.- Voronoi Diagrams: The Post Office Problem.- Arrangements and Duality: Supersampling in Ray Tracing.- Delaunay Triangulations: Height Interpolation.- More Geometric Data Structures: Windowing.- Convex Hulls: Mixing Things.- Binary Space Partitions: The Painter's Algorithm.- Robot Motion Planning: Getting Where You Want to Be.- Quadtrees: Non-Uniform Mesh Generation.- Visibility Graphs: Finding the Shortest Route.- Simplex Range Searching: Windowing Revisited.- Bibliography.- Index. 2. The most relevant part of each chapter is the algorithm. The algorithms part has a lot of terse proofs, and non-intuitive descriptions. Please refer to the Fortune's Voronoi diagram algorithm as an example. By reading this chapter, not even a great student will be able to simply implement it. It's just a long winding, bunch of dry proofs, and then steps of the algorithm, which develops no understanding, that it simply is the intersection of the parabolas that satisfy the requirement of the Voronoi partition. 3. The research section towards the end presents some examples, but most of the ideas in these are also not developed to further understanding. I blame this book for turning many smart students away from Computational Geometry. Given that it's considered the standard text book in CG. Comprehensive, deep, clear (i.e. readable). Pseudo-code (high level) is provided at end of each chapter. Also exercises. Reader must still convert from pseudo-code to programming language in order to actually implement. A web site is listed to help with that, which provides links to programming resources. I haven't yet tried them.. 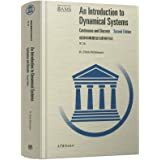 It is a joy to read and review this book -- the exposition is crystal clear; the writing style is warm and engaging (not too terse and not too verbose), conveying understanding and not just stating facts, theorems, and algorithms; the graphics are great (numerous richly detailed illustrations); the topics hit the heart of computational geometry; the historical remarks help set context; and the book is beautifully typeset and printed on high quality acid free paper. This book is a must to all researchers and students of the field. The algorithms are always presented in the context of an application, which makes it the more understandable. However, the authors chose to present them in a very high level of abstraction, and some of the finer details - so important in these algorithms - are only mentioned, which may pose a problem to obtaining a suitable, efficient implementation of them in a programming language. Beautiful book, solid contents. I learned a lot from it and had a nice time practicing with the exercises. 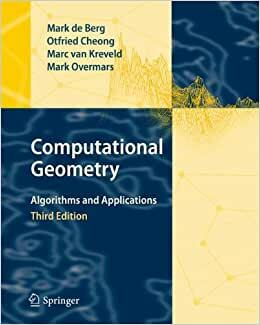 Lots of examples and problems, a lot of interesting algorithms and techniques, every chapter is a progressive refinement of a particular idea to solve a problem expressed as geometry. Again, i'm very satisfied with it.